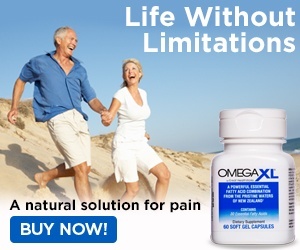 Dec 08, 2016 Omega XL has thousands of satisfied customers who continue to make monthly purchases of our product and is backed by more than 30 years of research demonstrating that the product reduces pain due to inflammation. Those studies show that it can take up to 6 weeks to experience results and results do vary depending on lifestyles. The service professionals in our Customer Advocacy Group have tried to reach you several times to discuss your dosage, and they left a message for you. We recommend returning their call at 1-800-607-0419. In the meantime, based on your message, we have cancelled your automatic shipments. We hope that we may be of service to you again in the future. I have been taken the product for one month, 4 capsules daily, but my health is not improving at all. Product is not working as expected, I have been experiencing clamps on hands specially in the fingers and legs during sleeping time, also I have experience inflamation in my fingers. My joints, knees, foot, elbows, and shoulders still in bad conditions. I want to know if do I need to continue taking the product for longer time or if I do have to take another supplement to improve my health. I have some product left and I will continuing taking the product until finish but I will not be able to buy more product. Review #968313 is a subjective opinion of Vilmita.